Will the Thrill: How did you become associated with the Australian horror flick The Demons Among Us, and what appeals most to you about it? LK: I was in Australia at the Perth Film Festival where they were holding a Troma Tribute when I first saw Demons Among Us. It immediately caught my attention because it’s a wonderful satire on the media and is expertly made (by a first-time filmmaker no less!). Needless to say, after its screening, we got in touch with filmmaker Stuart Simpson, fluids were exchanged and we made them an offer they couldn’t refuse (or cure with over-the-counter antibiotics). 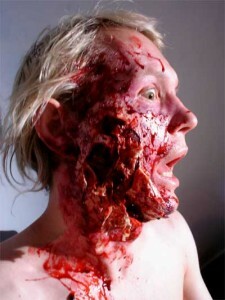 Would you share fluids with this man? 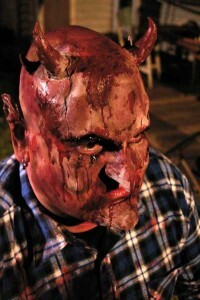 Thrill: How would you say Demons differs in tone and content from original Troma flicks? Was this a conscious step in a new direction? 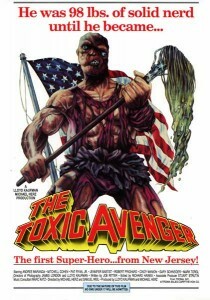 LK: Troma is known for pushing the envelope and defying convention. Demons Among Us has a style all its own, a zombie-type movie with an anti-advertising theme (something near and dear to my heart). Even more impressive, Stuart did all of his own special effects and was able to do some absolutely amazing things during Post Production. He’s a whiz! It’s such a rarity to find both style and substance in a film, so we had to get into bed with them or, in my case, a stained mattress in a Lower East Side squat. Now, I would never take a serious interview like this to promote anything Troma-related, but Demons Among Us will be available on DVD immediately following its screenings which you can find here. You gonna check out my flick, slick? Thrill: Tell us a bit about the genesis of Poultrygeist. What possessed you to cook up this crazy idea? Eating a chicken sandwich in a deli one day….? LK: As my second book, Make Your Own Damn Movie!, opens, I’m in the basement with Gabe Friedman (one of the Poultrygeist screenwriters), fighting off these raccoon-sized rats as a metaphor for what you have to do when you’re an independent filmmaker. That was a big inspiration, that McDonald’s inspired these rats to have their weekend vacations in our basement. That led me to start learning about the evils of the fast food industry and from there, a film featuring Indian chicken zombies was born! 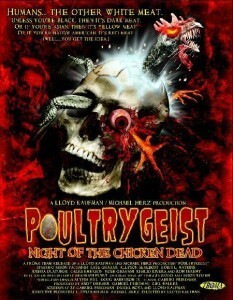 A little known fact about Poultrygeist is that it is a shot-by-shot remake of Steven Spielberg’s Schindler’s List. Again, I would never take an opportunity during an interview such as this for self-promotion, but you can learn more about the film by checking out the website. Thrill: Talk a little bit about TromaDance – what is it, and why is it? It was ten years ago that Robert Redford personally asked me to create a festival to criticize the non-independent Sundance Film Festival. From there, TromaDance, the first film festival wholeheartedly devoted to filmmakers and fans, was born. 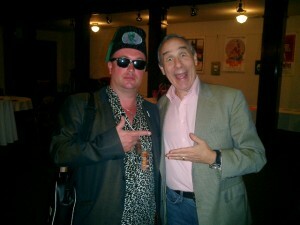 Unlike every other film festival, TromaDance does not charge filmmakers to submit their films. Entrance to all screenings is free and open to the public. Also, there are no VIP reservations or preferential treatment regarding films, panels, or parties of any kind given. The organizers of TromaDance believe films are meant to be seen, especially when it comes to new filmmakers. Art – in all its forms – is for the people! I would never dare to use this interview to promote the festival but we have a wonderful website where people can learn more about the festival here. LK: Funny you should ask…I’m actually developing The Toxic Avenger 5 which will focus on Toxie’s troublesome teenage toxic twins. Besides that, I’m penning Produce Your Own Damn Movie! which will be my fifth book and the second to be released by Focal Press. Now I would never take a moment to plug my own book, but Direct Your Own Damn Movie!, another Focal Press release, just hit stores and the internet today. Buy it! Tagged Demons Among Us, Lloyd Kaufman, Poultrygeist, Troma. Bookmark the permalink.